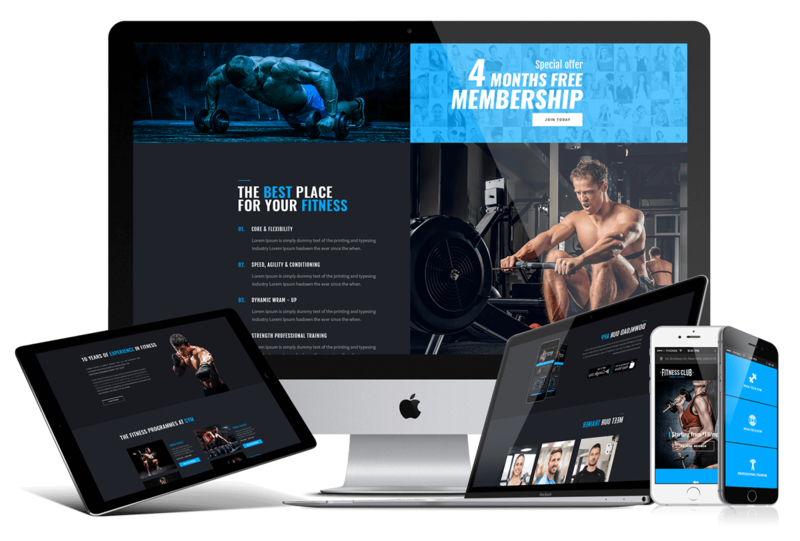 It is time to represent the new Bootstrap template- Fitness Club, which is created by CSS3, JS, and Bootstrap 4 framework (it is the latest framework). Nowadays, health is our number one priority, so in this time and age, the fitness business has captured the world. The template design is very fashionable because our best team worked on it very hard also, it is a landing page (one-page website). 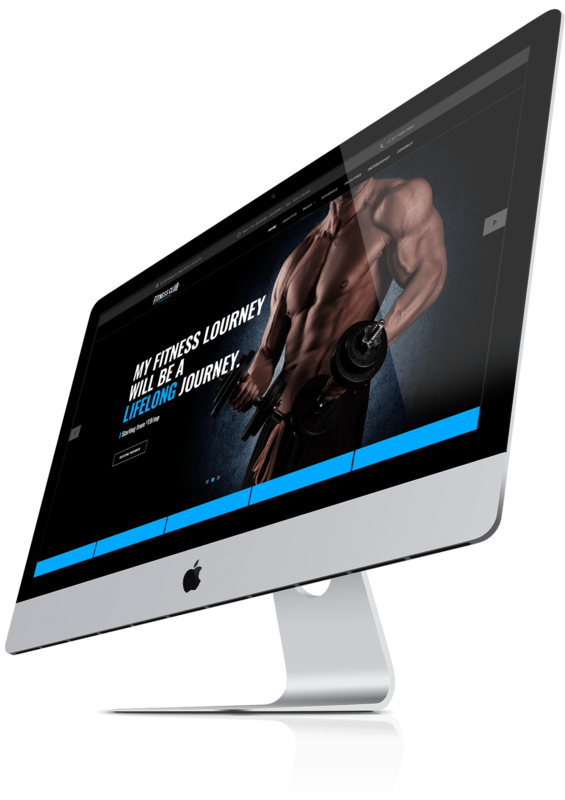 This template is great for a startup business, fitness club, gym, everyone uses internet no one wants to go out and look for a proper fitness club for themselves so they search it on the internet and this theme provides great opportunity to succeed in your business. If you do not have any experience in website templates feel welcome to use our Free bootstrap themes for download. Home - One of the most important part of the website which will attract people to stay on your page. One can use various images slideshow of their gym to raise awareness among customers. About us section - This is the most interesting part of the website. Customers are interested in the quality, they want to know how long have you been running the business. Also to raise awareness in your customers you can include information about your future goals and changes which you are planning to do. Viewers like when there is written all the information which they want and need to know. Also, there is a button that says “join today” and the viewer can become a member by internet within minutes. Schedule - This section will defiantly attract the customers. Every customer likes to know what is happening today, tomorrow or at the end of the month. They want to make their plans, so you can write here every event which you are planning to do it in that month. Also below the schedule you can write about what type of training you are offering to the people, what are they, why are the good ant etc. On top of that there is a chart which shows how much members do you have at that moment; also how many trainers do you have, class, programs and etc. Facilities - this is the part where you can write, show and indicate the other facilities which our business can offer it can be: café, restaurant, spa, massage, outdoor sport and etc. Under that, you can also indicate if you have mobile applications on apple store or on Google Play. This sections also provide to show your customers the trainers. Upload their images qualification what are they good at and etc. At the end of this, there is the part which says “What our members say” this is a great way to show to your future customers the positive thoughts of the previous or currents members. Membership - Every person is interested in how much they should pay, how many days does it contains so this part gives you a great chance to write detailed information which is the most important to every customer, they need to know for instance, how much does it cost to go to the gym for a month and etc. Contact – On this page, you should present the contact information such as telephone number, email address, street address and etc. We also include the Google map which definitely helps the customer to find the exact location of your company. There is also a part which says “Contact us” this gives an opportunity to a customer to contact as any time and have fast communication with us. If you have any questions please feel free to write it in the comment section and our support will do their best to write to you as soon as possible. The support team offers video tutorials to make this process as easy as it can be.